Mercedes’ Lewis Hamilton admits there’s still work to be done after concluding Practice 2 in Shanghai seven tenths behind team-mate Valtteri Bottas. The Finn set the pace while Hamilton, the most successful driver on the grid at the Shanghai International Circuit with five victories to his name, was fourth fastest. Hamilton visibly struggled on cold tyres early in the afternoon session, spinning on his out lap while negotiating the opening complex of corners before further locking his front tyres into heavy braking zones of Turns 6 and 14. “Valtteri looked much more comfortable, (and) I was struggling with the car today so we’ve got work to do,” he concluded. “The car has the pace in it to compete at the front, we just need to find the right set-up. We’re going to work hard tonight to find some tweaks and hopefully come back stronger tomorrow. Bottas further explained the difficulty in finding a consistent set-up around the highly technical 5.451-kilometre circuit. “It is always very difficult to find a good balance throughout an entire lap on this track,” he explained. “We got there step by step and the car was feeling ok in the end, but it’s only Friday and it’s the next two days that count. “Ferrari still seem to be quicker than us on the straights, whereas we were better in most corners in FP2. 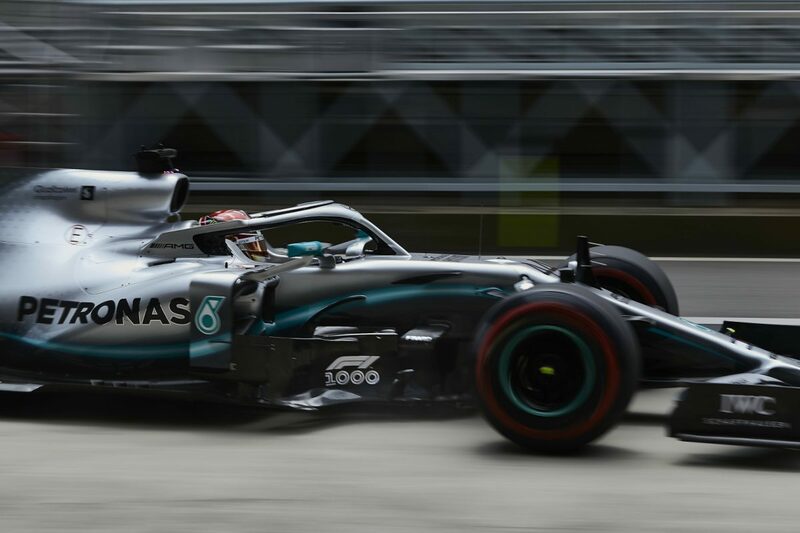 The drivers get a final hour-long practice session today at 1300 AEST before Qualifying commences for the Sunday’s Chinese Grand Prix at 1600 AEST.